We’ve seen it before. A buyer finds a home they like, but it’s a foreclosure or short sale. They make an offer on it, but it takes days or months to get a response from the bank. So, they keep looking and find another home they like. It’s not as perfect as the first one, but it’s a normal resale listing with a typical seller. The buyer wants to put in an offer on this second home, but can they? Yes. Technically, in North Carolina they can submit an offer on any number of homes and terminate/withdraw their offers on whichever properties they like the least. But SHOULD they? This is really a question of ethics. What if they found out the same day that both offers were accepted? Is it fair to either seller to get their hopes up or make them go through the process of negotiating/preparing legal documents when the buyers are basically testing the waters? What if it was two normal home listings with typical sellers? Again, is it fair to get either of their hopes up? 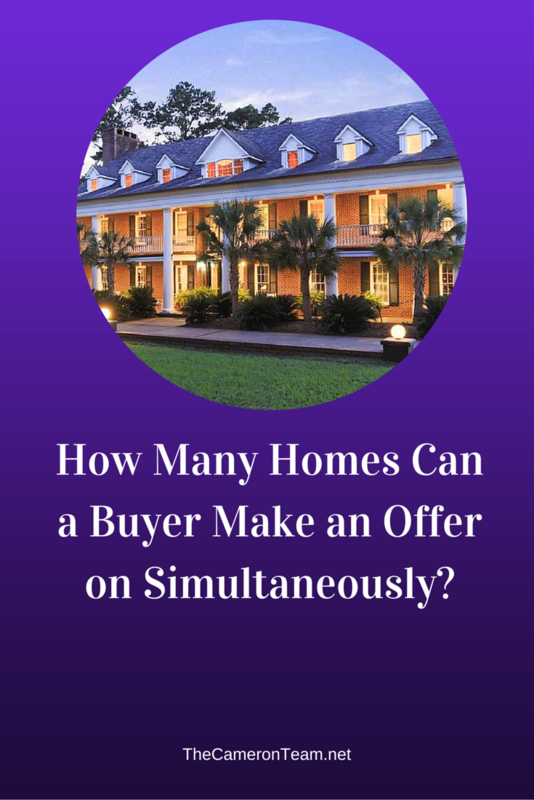 What if one of the homes was part of a multiple offer situation? Is it fair to the other buyers, who may want the home more than them? There are a lot of what if’s, but when a buyer is thinking of making more than one offer on a home, it’s recommended they ask themselves, “Would I want this done to me?” If the second home is one they want more, they should put an offer in on it and withdraw the offer on the other listing. They should also terminate/withdraw it as soon as possible. Waiting until the due diligence period is over would mean losing earnest money. It also wouldn’t be fair to the sellers, who have been forced to pause marketing. When a home is put under contract and then put back active on the market, it may be viewed negatively by buyers and agents, because it makes them question what is wrong with the home that the deal would fall through. When two homes are being considered, it’s better procedure to make a solid offer on one home and, if necessary, include contingencies on it being accepted. A good real estate agent can advise the buyer on how long they expect a seller to take accepting or declining the offer, or a contingency can include a timeframe for deciding. If the home is a short sale and the buyer can’t wait a few months to purchase, they should find a different home to make an offer on. It will prevent issues down the road. Do you have questions about buying a home in the Wilmington area? Give us a call at (910) 202-2546 or send us a message through our Contact page.